Bayern Munich CEO Karl-Heinz Rummenigge has reiterated that star striker Robert Lewandowski will not be leaving the record German champions this summer. 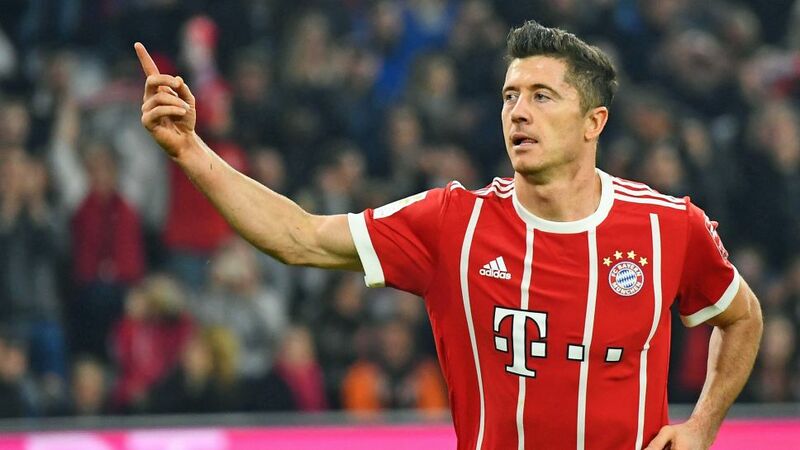 Lewandowski, 29, continues to be linked with a number of top European clubs, but Rummenigge insists Bayern have absolutely no intention of parting with a player who has scored 40 goals in all competitions this season. "There's no need to worry about Lewandowski's relationship with Bayern," Rummenigge said. "It's a very good one. We know what we have in Robert Lewandowski, I'm very happy he's still on a long-term contract. It doesn't need to be given any thought. He'll be a Bayern player next season. Lewandowski scored his 29th Bundesliga goal of the season in last weekend's 3-1 win at Cologne, but it was his reaction to being substituted - snubbing coach Jupp Heynckes' handshake - that dominated headlines in the German press. The Poland captain was also criticised in some quarters for firing a blank in the two-legged UEFA Champions League semi-final defeat to Real Madrid. "Everyone's entitled to their opinion, but it's no exaggeration to say that Lewandowski is one of the best strikers in the world," Rummenigge said. "His record proves that every year. It doesn't matter if he goes a couple of games without a goal." Not that it happens often. Lewandowski has scored 150 goals in 193 appearances in all competitions since leaving Borussia Dortmund for Bayern in summer 2014. He currently sits seventh on the Bundesliga's all-time list of scorers on 180 goals, 12 behind the German top-flight's record non-German goalscorer Claudio Pizarro, and is set to get his hands on his third Torjägerkanone this weekend.